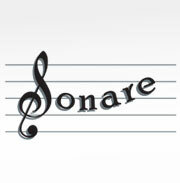 Sonare Vocal Ensemble are an acapella vocal group who specialize in sacred polyphony. All are highly qualified musicians and they are prepared to learn any piece you may desire. Sonare have performed at many functions throughout Ireland, England, France and Italy singing a range of different musical genres including Irish classics, contemporary motets and popular songs. Sonare are happy to arrange or transcribe any piece that you may have in mind for your occasion if it is not on our repertoire lists.